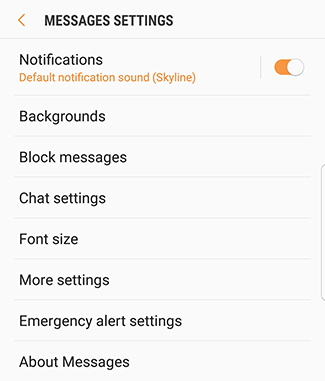 Galaxy Note8: How do I access messages settings on my Samsung Galaxy Note8 (SM-N950W)? Your mailbox called: it’s feeling neglected. Make it feel at home by customizing font size, backgrounds, callback number and more using mailbox settings. 3. Touch the More Options icon. Galaxy Note8: How do I view new messages on my Samsung Galaxy Note8 (SM-N950W)?